AUGUST 22, 2018 DENTON TX— Cadet Jackson Reed of the Civil Air Patrol’s Nighthawk Composite Squadron received the Spaatz Award. Named after Gen. Carl A. Spaatz, this award is the highest Civil Air Patrol (CAP) award that a cadet can achieve and comes with a promotion to Cadet Colonel. It is presented to cadets who have demonstrated excellence in leadership, character, fitness, and aerospace education. Reed is only the 2,205 cadet nationally, 89th in Texas, and the first in Nighthawk to receive this prestigious award. The award was established in 1964 and on average, only five cadets in one thousand earn the Spaatz Award. Recognition will be formally made during the Nighthawk Composite Squadron annual awards banquet scheduled this January 2019. Jackson Reed first joined Civil Air Patrol just after his 13th birthday nearly five years ago and he has been an active member ever since, receiving both his Wright Brothers and Mitchell Award in the cadet program in his first 18 months. A little over two years ago, C/Lt Col Reed left his position as Executive Officer at his former squadron to join the Nighthawk family. As a Nighthawk, he extensively involved himself within the squadron, volunteering regularly at Fill the Boots and various squadron activities and community engagement events. Shortly after transferring, Jackson stepped up as the squadron’s deputy commander and continued on as the Nighthawk Cadet Commander for the full 2017 year. Jackson’s dedication to the program goes well beyond active participation in the squadron. As an airman, he got heavily involved in Color Guard and his team won first place at the Texas Wing Color Guard Competition. Cadet Reed has also remained an extremely involved member of Texas Cadet Programs since first joining, having served as a squadron CAC representative, attended four CTEPs (a series of leadership schools hosted by Texas Wing), graduated Advanced Training School, instructed at TXWG Color Guard Academy, led instruction at TXWG Officer Training School 3 times, served as a Deputy Commander for a TXWG ALS, and staffed 5 encampments, most recently serving as Deputy Commander for Winter 2017. Jackson’s involvement in Civil Air Patrol also extends to the national level. He is a graduate from Pararescue Orientation Course, or PJOC, where he trained with active Air Force Pararescuemen and SERE Instructors for a week in the mountains of New Mexico. This is often considered one of the most physically and emotionally challenging activities hosted by Civil Air Patrol. Jackson also attended Civic Leadership Academy this past March, where he participated in tours of Washington D.C, including exclusive tours of the CIA, Pentagon, and Supreme Court. While at CLA, he participated in National Legislative Day, meeting all day with dozens of Texas congressmen and senators to garner support for the Civil Air Patrol. 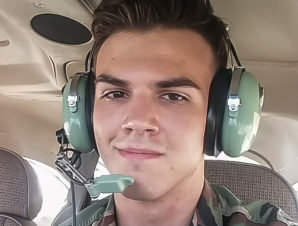 Jackson was also recently selected as one of only two cadets in all of Civil Air Patrol to serve as a program ambassador in South Korea for nearly three weeks this summer. 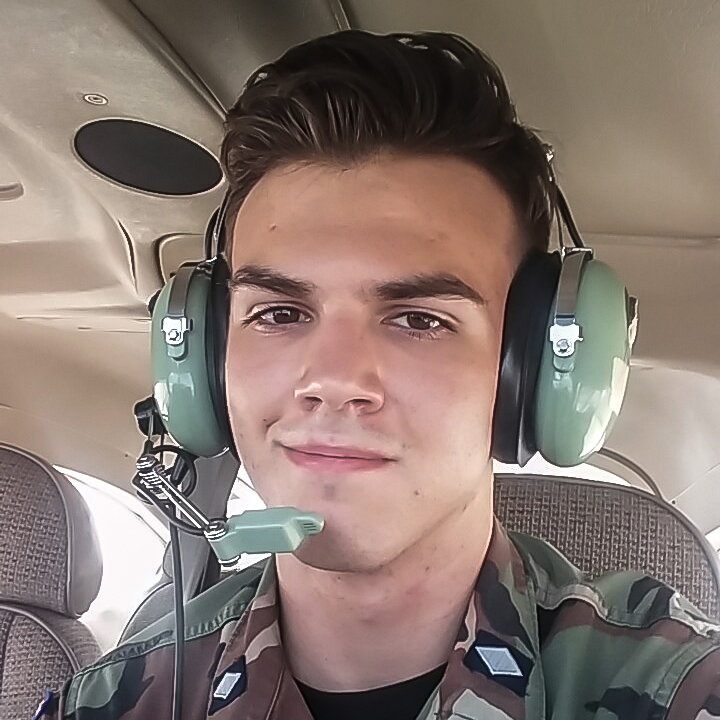 Outside of Civil Air Patrol, Jackson volunteers in the community regularly and maintained extensive involvement in extra-curriculars at Collin College, where he took dual-credit courses since age 14. He has served extensively in officer roles in the Global Diplomatic Society, a program that encourages engagement with the community in political and social issues. Jackson is also extensively involved in Model United Nations through his college. Despite being the youngest student in his class, Jackson was selected as the Head Delegate for his Model UN Team. Under Jackson’s leadership, his Model United Nation team attended an International College MUN Conference in New York, where they received the highest honors possible, including Outstanding Delegation. Jackson also currently works part time as a tutor, aiding highschool juniors and seniors in math, physics, chemistry, and SAT test preparation. Jackson graduated high school this May and will begin studying Civil Engineering this August at the University of California, Berkeley, often considered the best public university in the United States. He is on track to finish his bachelor’s degree in 3 years and wants to work in the field of transportation engineering. He aims to achieve his Spaatz award in the Civil Air Patrol program before leaving for school in San Fransisco.